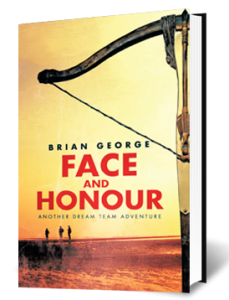 In this 2nd Dream Team novel Barry, Annie and Stella’s matchmaking vacation in Thailand brings them up against a people trafficker and Stella’s Father’s attempt to betroth her in line with his own twisted values takes them across West Africa. 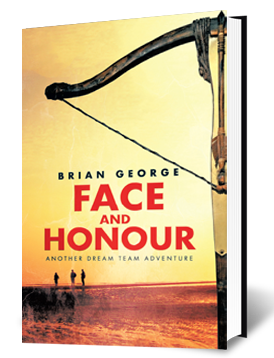 The Team fight injustice in their own inimitable style and the cultural concepts of “Face” & “Honour” are tackled. 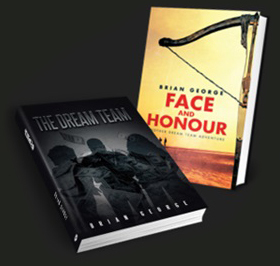 Religion, Voodoo, Meditation, Pranic Healing, even Female Genital Mutilation are stirred in this mix and the Dream Team’s usual anti-establishment viewpoint results in a violent retribution. As usual they dish out rough justice and their fast moving lifestyle parties them through in this romp of a tale.